Like most kids of my generation, I was a devout follower of the teachings of Jim Henson. As it is was for most, it started with Sesame Street and shifted to The Muppet Show when I became old enough to recognize Sesame Street for what it really was: school dressed up in plush, feathers and, googly eyes. I sat attentively in the tacky maroon seats of my local theater beneath massive buckets of popcorn through The Muppet Movie, The Great Muppet Caper, The Dark Crystal, and Labyrinth, respectively. Had my family been cable subscribers, it’s no question that I would have been glued to the television set for every airing of Fraggle Rock. I even tuned in to The Muppet Babies on Saturday mornings to watch toddling, cartoon versions of The Muppets as they spoofed their way through some of my favorite films. One Christmas, breaking gender expectations, I asked for a Miss Piggy hand puppet (my cousin Tamarah got an Animal puppet). I spent the days following Christmas shouting “hiyaaa” in my best Miss Piggy voice while karate-chopping everything in my home with creature that was more hairdo than pig on my hand. Indeed, I drank my Kool-Aid from Great Muppet Caper collectible glasses. 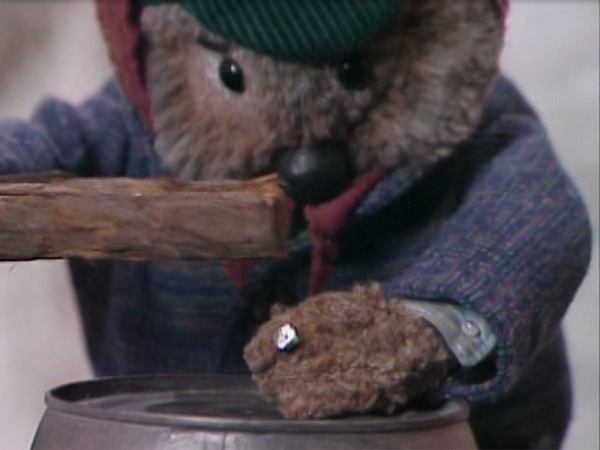 Yet somehow I completely missed Jim Hensons’s 1977 Christmas special, Emmet Otter’s Jug-Band Christmas. The special which originally aired on HBO was later rebroadcast on ABC, and would have been accessible to me in my non-cable television wilderness. Still, I wasn’t even aware that it existed until I was in my late 20s. 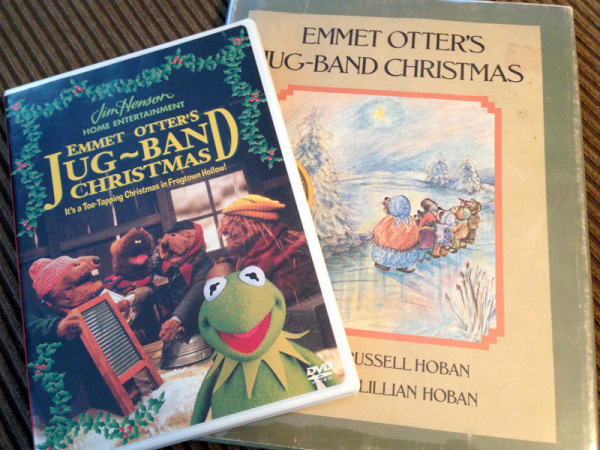 Emmet Otter’s Jug-Band Christmas is a faithful adaptation of the 1971 book by Russell and Lilly Hoban, itself a variation of O. Henry’s Gift of the Magi. It tells the story of Emmet and his widowed Ma, two painfully adorable, anthropomorphized otters in the pseudo-Appalachian town of Frogtown Hollow. Living in a a ramshackle shed by the riverside, they work tirelessly for little reward; Emmet working odd jobs using the tools from his dead Pa’s tool chest, and Ma providing laundry service for the citizens of Frogtown Hollow using her trusty washtub. Their good-natured work ethic is often tested by customers looking to shirk full payment for the work performed. They are destitute in the Dickensian sense, yet they still manage to maintain a positive attitude. In its original format, the special features a brief appearance by Kermit the Frog who introduces the story. This cameo is clearly a bit of stunt casting intended to lure Muppet devotees into watching an otherwise Muppetless mope-fest. 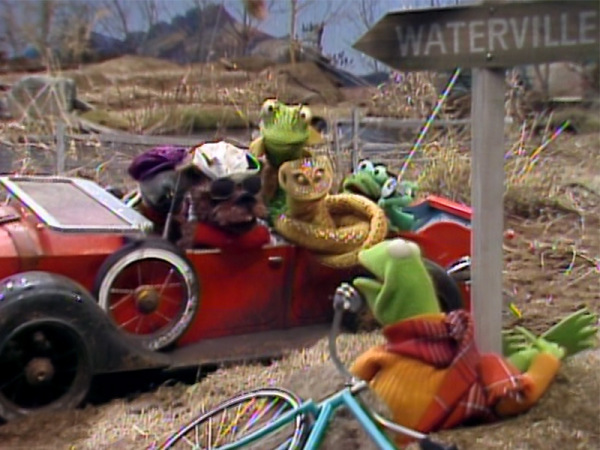 Kermit is riding his bicycle past Frogtown Hollow when he is run off the road, harassed, and ultimately mugged by a carload of thugs who call themselves The Nightmare. Sitting in a roadside ditch, perhaps in shock from his recent assault, Kermit introduces the viewer to the critters of Frogtown Hollow. Sadly, Kermit the Frog has been edited out of modern releases since The Muppets have been consumed by the insatiable maw of the Walt Disney Corporation and Emmet Otter’s Jug-Band Christmas is faithfully remains a property of the Jim Henson Company. The story opens with Emmet and Ma on the river in a rowboat happily singing a folksy tune about obese Grandma Otter’s oversized bathing suit. As they head into town to tend to errands, the viewer gets acquainted with the hustle of their daily lives when Ma is stiffed for payment by the haughty old Gretchen Fox. Unthwarted, Ma immediately strikes barter with Will Possum: Ma’s socks for Will’s pumpkins which Ma will bake into pies, sell at a profit, buy yarn and knit more socks to trade for pumpkins…How Ma and Emmet didn’t have an existential crisis right there is beyond me. Ma and Emmet find themselves in front of the town music store, where Emmet pines over a guitar with mother-of-pearl inlays in the window. The moment is interrupted when The Nightmare gang starts causing a racket inside the music store. The Nightmare is a gang of less cuddly critters, including a snake, catfish, lizard, and weasel from the nearby town of Riverbottom. They are led by a swaggering (yes, they managed to give a puppet a swagger), gruff-voiced ermine named Chuck Stoat, who in his hat, sunglasses, and sleeveless denim vest seems to be channelling Dennis Hopper in Easy Rider. The Nightmare gang lays waste to the music store, causing Ma and Emmet take their exit. On the way home, Emmet reminisces about the last Christmas before Pa died. We learn that Pa was an unsuccessful snake oil salesmen whose main explanation for a lack of sales was that he never met anyone who’d want to oil a snake. 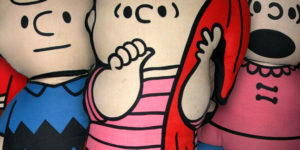 Despite his failure as a husband and a father, which ultimately leaves them penniless, they seem to regard him fondly. Ma tells Emmet that there’s no use thinking about Christmas, considering their financial state. Despite their unyieldingly sunny disposition, it’s all very, very sad. The next day, with a fresh layer of snow on the ground, Wendell Porcupine (who, if judged by his level of excitement over fishing an old boot out of the river earlier in the special, seems to be a few quills short if you catch my drift) cuts Emmet in on a job mending Old Lady Possum’s fence. On their way to the job, Emmett and Wendell run into Charlie Muskrat and Harvey Beaver, who tell them about an upcoming talent show in the neighboring town of Monroeville with a cash prize of $50. They propose forming a Jug-Band and splitting the contest winnings. It’s proposed that Emmet play washtub bass, to which Emmet refuses as making a washtub bass requires punching a hole in the washtub. Still Emmet fantasizes that he could use his part of the prize onward getting Ma a piano for Christmas. Meanwhile, Ma learns of the talent show while visiting with Hetty Muskrat. Confident in her own singing ability, she figures she might have a chance at winning, and decides that she’d use her prize money to get Emmet the guitar with mother-of-pearl inlays that he wanted. Naturally, she’d need to wear something nice for the performance, and considers pawning Pa’s tool chest to afford fabric for a new dress. Inspired by Pa’s willingness to take a chance on selling snake oil, both Ma and Emmet decide to sacrifice the other’s livelihood for a chance at winning the talent show. Considering Pa’s high risk, low reward stance in life, I’m not sure I understand Ma and Emmet’s leap of faith. As Emmet drives a nail into Ma’s washtub the tension reverberates with a palpable foreboding. 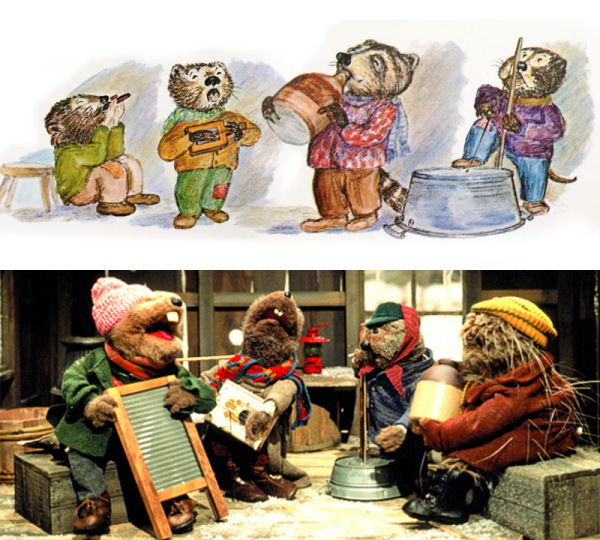 Next, Emmet and the boys, calling themselves The Frogtown Hollow Jubilee Jug-Band, perform a bluegrassy song called “Brothers”; a last minute song choice as their original was co-opted and tunelessly delivered by Yancy Woodchuck. The audience responds with enthusiastic applause. As Ma and the boys exchange compliments backstage, a last minute entry in the talent show is announced. 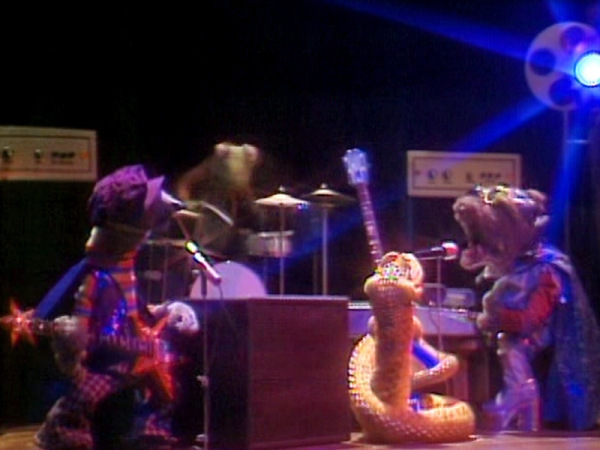 Complete with their own light show, The Nightmare takes the stage and blasts its way through their song, “The River Bottom Nightmare Band”. Their performance is a 70s glam rock spectacle not unlike Ziggy Stardust era David Bowie complete with Chuck in a cape and platform shoes. The song itself is an anthem of defiance, meanness, attitude, and lack of dental hygiene worthy of early Alice Cooper. The audience loves them and The Nightmare is awarded first place in the talent show. Perhaps there was an intimidation factor at play, or maybe the judges were dazzled by the theatrics, but I find it surprising that the judges of this sleepy town would vote for such a performance. It’s unstated, but I would like to know how the Nightmare spent their winnings. My bet is on hookers and dope. Walking home along the frozen river, Ma and the Boys are in high spirits despite losing. Clearly the dire reality of their situation hasn’t fully set in yet. After all, no tools or washtub means no income, and it’s more a matter of when than if Ma and Emmet will freeze or starve to death in the coming months. Discussing their song choices of the evening, Ma realizes that the two separate songs fit together well as one. They break into the new combined song, “Brothers in Our World”. Drawn by their voices, Mayor Bullfrog meets them on the dock and hires them as house band at his restaurant. The job offers regular pay and free meals (Wendell is particularly concerned with rations of mashed potatoes), and they start work immediately. Thank goodness for that. 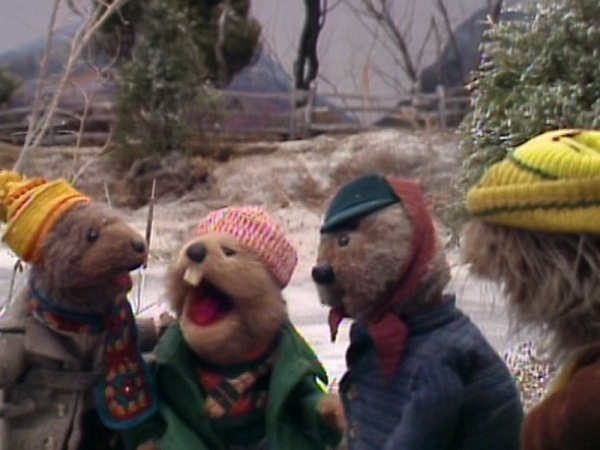 I really am quite fond of Emmet Otter’s Jug-Band Christmas. My first viewing of it was at my wife’s insistence, and it has since become a yearly tradition. I suppose my snarky commentary above is my way of offsetting how charmingly sincere I find it. The intricate sets and seamless mix of various puppetry techniques create an enchanting and wholly authentic world that is easy to get lost in. The music, written by frequent Henson collaborator, Paul Williams (who I am unconvinced isn’t himself a Jim Henson creation), is pleasantly catchy and can easily exist outside of the Christmas season. It is a not-too-sweet distillation of the spirit of the holiday devoid of gaudy consumerism and Christmas symbolism. It gently reminds that hard times don’t pause for Christmas; much like A Christmas Carol and It’s a Wonderful Life before it. Had I seen Emmet Otter’s Jug-Band Christmas in 1977, I might have grown into someone with a sunnier disposition, less likely to respond with snark when presented with something so resilient and earnest. Great post on a classic! My brother and I were also big into Muppets. 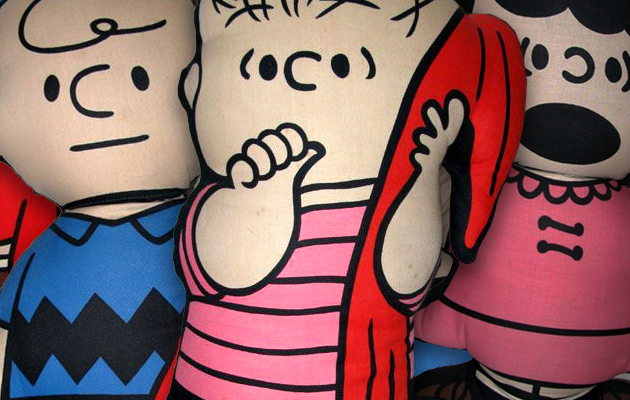 We had HBO however and saw this when we were young, and loved it. We also were diehard Fraggle Rock fans, every Monday at 7:30. 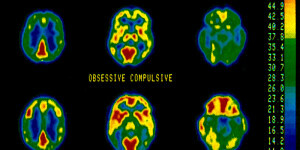 Good memories. About to watch this special with my kids, who also like it. They love the outakes after the film, as well. Funny stuff. Happy Holidays to you, your wife and family! Thanks for reading. Happy holiday to you and the family as well. I’m a few weeks late on this post, but I’ll comment anyway. My sister and I were Muppets fans and looked forward to this show thinking it was going to be some sort of Muppet Christmas special. I have to admit were were sorely disappointed and by the end had lost interest. I haven’t watched it since, maybe I need to give it a second chance. I can see why that would be disappointing for kids. A Muppet Family Christmas this is not. Nonetheless, it’s still worth the watch and feels undoubtably Henson. It might be better appreciated as an adult. Thanks for reading.